Dr. Lobsang Sangay has been elected to be the new Kalon Tripa (Chairman of the Tibetan Cabinet) with 27.051 votes. Lobsang Sangay, a renowned Tibetan academic based in the US, is expected to take on the administrative responsibilities in August 2011, taking over current Kalon Tripa Prof. Samdhong Rinpoche, and to remain on duty for a period of five years. Dr. Sangay grew up in a Tibetan settlement in Darjeeling, India, and after having completed his Bachelor studies in Law at Delhi University, he obtained a Fulbright Scholarship to complete a Doctorate in Law at US Harvard Law School. He is considered an expert on International Law, Democratic Constitutionalism and Conflict Resolution. Heidi Hautala, chairwoman of the European Parliament Committee on Human Rights (DROI), in a blogpost said that elections of Tibetan community in exile represented a major step forward towards a full democratic system. The INPaT released the Final TEOM Mission Report, titled “Historic Elections of Tibetan Institutions in Exile are Deemed Free and Fair Despite Many Challenges”. INPaT TEOM, deems the elections held on March 20, 2011 all over the world, as free and fair, and in its recommendations to the newly elected 15th Tibetan Parliament in Exile, urges it to further improve the Tibetan democratic system by reviewing the electoral laws to reflect general international standards and recommendations, including those submitted by the Tibetan Election Commission. The Dalai Lama has announced his desire for the full devolution of his responsibilities in the Tibetan Government in Exile to the elected Tibetan leader. In his annual address to the Tibetan people during the 10 March commemoration of the 1959 Tibetan National Uprising against the Chinese occupation of Tibet, the Dalai Lama said : “As early as the 1960’s, I have repeatedly stressed that Tibetans need a leader, elected freely by the Tibetan people to whom I can devolve power. Now we have clearly reached the time to put this into effect.” Later, on 14 March, the Dalai Lama went into more detail on his retirement statement in a message delivered to the Fourteenth Assembly of Tibetan People’s Deputies. The Dalai Lama’s decision to fully devolve his formal political authority to an elected Tibetan leadership will require a legal response within the Tibetan democratic system from the Tibetan Parliament in Exile. He explained that he should be relieved of functions related to his political and administrative status and amendments to the Charter of Tibetans in Exile and other related regulations should be made accordingly. The Tibetan Parliament has decided to meet in May in a special session to consider amendments to the Charter in keeping with the message of the Dalai Lama. Then, the new parliament, which will convene in June 2011, will finalize official changes to the Charter to reflect the new political power structure. 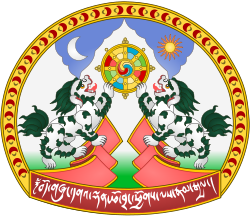 The Dalai Lama’s decision represents a significant step towards the realization of his objective of making the Tibetan people politically self-reliant. To understand the Dalai Lama’s great devolution of power, it is important to consider that he currently serves as both Head of State and Head of Government, according to the Charter of Tibetans in Exile. In addition, the current Fourteenth Dalai Lama is especially recognized by Tibetans inside and outside Tibet as the spiritual patron of Tibet and as their national leader for his monumental struggle for the Tibetan cause. In a recent study, analysts of the Tibetan Political Review have suggested that, among all available models, a “Constitutional Ganden Phodrang” model (kind of UK Constitutional Monarchy) could be a good starting point for discussions on the future outfit of the Tibetan Government in Exile. According to the study, under “Constitutional Ganden Phodrang” the Head of State would be the Dalai Lama (similar to the British Queen). He would be limited to ceremonial responsibilities while symbolically representing the Government in Exile. The Kalon Tripa would be the Head of Government, potentially directly elected as has happened with recent elections, carrying out executive activities in the name of the Head of State (Dalai Lama). Finally, there would continue to be a separate Parliament and Supreme Justice Commission, as it happens now. The same study suggests that an important element supporting this model is related to the Sino-Tibetan dialogue. As China refuses to engage with officials of the Tibetan Government in Exile but only with the Dalai Lama’s envoys, having the Dalai Lama as Head of the State could guarantee that the dialogue remains a viable option for resolving the Tibetan issue. In this way whoever engages in discussions from the Tibetan side would be speaking on behalf of the Head of State/Dalai Lama. However, it is still too early to know the future shape of the Tibetan Central Administration as a result of this historical change. What can be said is that since 2001, much of the political authority has already been delegated to the Kalon Tripa, and the Dalai Lama has repeatedly signaled that he is less involved in the affairs of state. On several occasions, the Dalai Lama has said : “The Kalon Tripa is my political boss, and I am his spiritual boss”. The Dalai Lama will continue to be regarded by the Tibetan people as their natural leader, irrespective of the potential changes that take place in his political role in exile. His moral authority and role as free spokesman on the international stage will not be diminished. The Dalai Lama’s announcement to transfer his political power to the elected Kalon Tripa could have other impacts. For example, an issue that will have to be assessed and followed in the future is to what extent the transfer of political authority in the exile government from the Dalai Lama to the Kalon Tripa will have on meetings with foreign leaders worldwide. While governments can be expected to meet with the Dalai Lama as a national leader, or spiritual leader, will they engage in practical matters concerning the Tibetan diaspora and also meet with the Kalon Tripa as an authoritative and influential representative of Tibetans in exile ? This devolution of political authority in the Tibetan exile community could also have implications on how the Chinese leadership perceives the Dalai Lama. His voluntary relinquishing of government power will propose a challenge to China’s static approach to the Dalai Lama and perhaps to Beijing’s own plans for a post-Dalai Lama period. The initial reaction of the Chinese Foreign Ministry was to describe the Dalai Lama’s decision as a “trick to deceive the international community”. Many MEPs have praised the Tibetan elections and congratulated Tibetan people on the implementation of democratic processes and institutions. The European Parliament has traditionally played a key role in reflecting public opinion and advancing policy on Tibet by adopting resolutions condemning the deterioration of human rights and promoting a peaceful solution to the problem through dialogue between the Dalai Lama or his envoys and Chinese leaders. However, the European Union remains cautious in weighing its concerns about the worsening situation of human rights in Tibet against its desire to avoid confrontation with China on what Beijing now calls a core interest of territorial integrity. Of course, the Dalai Lama and the Tibetan Government in Exile are repeatedly on record seeking to advance genuine autonomy for Tibetans within the People’s Republic of China and not a return to an independent Tibet. The dialogue between the Envoys of His Holiness the Dalai Lama and Chinese officials is at a standstill. This process started in 2002 and since then nine rounds of talks have taken place, the latest held in January-February 2010. The current impasse is the longest break experienced since the establishment of the Sino-Tibetan dialogue. The Tibetan side has indicated that it is willing and ready to re-engage at any time in any place. However, many China experts are postponing expectations from Beijing on Tibet and other issues until the 2012 election for the next Chinese President. If this is the case, the EU should use this period to assess its Tibet policy, including pro-actively but sensitively engaging with the Dalai Lama and the new Kalon Tripa to understand their priorities and objectives. A committed and well articulated policy on Tibet could inoculate the EU from the excessive criticism from Beijing on inconsequential matters unrelated to policy. More critically, it could support a strong underpinning that would help the Tibetans and Chinese parties find mutually acceptable solutions. The European Council on Foreign Relations (ECFR) in its “European Foreign Policy Score Card 2010” ranks 2010 EU Foreign Policy on human rights in China and on the Dalai Lama and Tibet with a D+ grade (failed). The report discusses that, in the past, visits by the Dalai Lama and the human rights situation in Tibet have been a source of tension between China and EU member states, although 2010 was an awkwardly quiet year on these issues. According to ECFR study, there is a soft consensus within the EU about the human rights situation in Tibet, but few member states follow up on this policy bilaterally and instead relegate it to the EU human rights dialogue (the record of which is not considered effective and productive). Recent human rights dialogues, both with European governments and the United States have not resulted in any demonstrable improvements in the human rights situation in China or the release of notable political prisoners. Some observers question the utility of the dialogue as a tool to advancing rights in China and ask whether the increasingly intransigent Chinese government uses the human rights dialogue as a means to limit human rights discussion in broader bilateral engagements, such as the U.S.-China Strategic and Economic Dialogue where both countries seek high-level accord. The European Union portrays itself as a promoter of human rights and democracy worldwide and indeed drawing on its underpinning values and rights, it could play an appropriate leadership role in promoting human rights and democracy through its external relations. However, the EU often uses troubling double standards in addressing human rights concerns by targeting weak countries but not using the same attitude towards “big” partners, such as China. The recent events in North Africa and Middle East have exposed a flaw in the E.U. approach by aligning with autocratic leaders for the sake of “stability” at the expense of the people. The unfolding situation demonstrates that true stability is derived from the will of the people, a notion that the EU must consider anew even though it should be fundamental to EU foreign engagement. As journalist and essayist Jean-Paul Marthoz discussed in his recent article “L’éléphant et les alouettes”, European countries, along with other western democracies, often adopt a diplomacy “du pâté d’éléphant et d’alouettes” (of elephant pate and larks) : an elephant of Realpolitik, serving above all economic interests, and few larks of ethic, putting sensitive issues such as human rights and democracy at the sideline of discussions with third countries, but never at the front. The European Union and its member states can legitimately call on China to respect human rights, based on the expressed will of the Tibetan people and on a corpus of findings over many years that document clear violations of international human rights principles. While China tries to evacuate human rights from the field of international relations, the EU should communicate its intention to review its human rights diplomacy and consider an action plan that reflects EU values and the legitimate aspirations of the Tibetan people for an end to oppression and recognition of their dignity and unique identity within the People’s Republic of China. Indiscriminate pressure is not going to lead to political reform in China, and the EU should focus on a well-articulated and consistently implemented human rights policy that includes both political and programmatic support for the new Tibetan leadership in exile and continues to value and affirm its support for the Dalai Lama and his efforts to achieve a solution for Tibet. First steps could include : to identify responsibility in the EU for a Tibet policy review ; seriously engage Tibetan exile leaders including the newly elected Kalon Tripa to discern their positions ; set an agenda for discussions on Tibet with U.S. Special Coordinator for Tibetan Issues Under Secretary Otero ; use the U.N. Special Rapporteurs to bear down on cases, like the current crackdown at Kirti Monastery in Ngaba (ch : Aba), Sichuan Province that serve as prototypes for how Chinese authorities mishandle Tibetan grievances and develop a timely prototype for an EU response ; meet with the Dalai Lama and his envoys to ascertain the possibilities for a post Dalai Lama period so that a file can be prepared (the Chinese have certainly done this) ; and, increase monitoring of the situation in Tibet. The meeting in Beijing between Chinese President Hu Jintao and President of the European Council Herman Van Rompuy in mid-May, the next China-EU Strategic Dialogue and the EU-China Human Rights Dialogue, foreseen for June in Beijing, represent certainly three appropriate opportunities for the EU to address the deterioration of the human rights situation in China and Tibet in a clear, strong, constructive and, if necessary, public way.